The theme of the weekend will be to celebrate the Spring Equinox and bring balance into our lives. Join Liz and Tania for their second retreat at Braziers Park. So much to celebrate – with the coming of Spring and strengthening our energy for the summer more outward months. 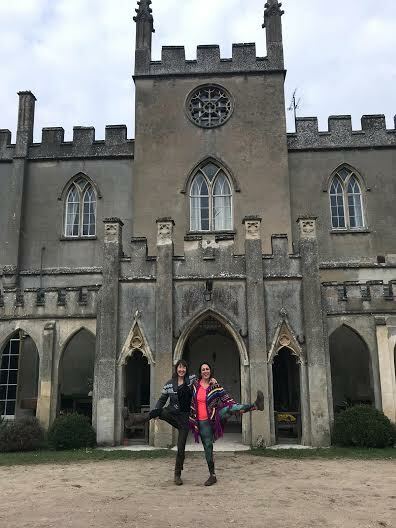 Liz and Tania so loved teaching at Braziers Park at the Spring in Equinox in 2018 that they have decided to return and to teach a similar weekend in 2019. There will be Hatha and Vinyasa yoga to strengthen and energise in the mornings and Restorative Yoga and Yoga Nidra in the afternoons. At Braziers Park we are fortunate to be looked after by the amazing team there who seem to miraculously provide gorgeous food for every intolerance and special requirement – everyone left with new recipes last year! We will also hope to have a fire outside with some singing and Spring Equinox fire ceremony. All levels of yoga are welcome. The prices have increased since last year in reflection of the increased charges that the venue have had to add to their prices. Braziers Park is a warm grade II listed country manor house, set deep in the rolling Chiltern Hills of South Oxfordshire, an area of outstanding natural beauty. The old manor has log fires, sofas, and 57 acres of land and beautiful gardens including a walled Victorian vegetable garden and an ancient orchard! Includes all meals, accommodation, meditation and yoga classes with Liz and Tania – please contact me for more info and a booking form. This retreat will take place in the foothills of the Aitana mountain in Spain. Costs will be £425 for shared room and £495 for a single room. All accommodation, food and yoga/meditation and guided walks included. Transport is not included in the price. We will be offering some shared transport from the airport to the venue with prices to follow. On this retreat there will be dynamic and restorative yoga classes together with yoga nidra for deep relaxation and restoration of the mind and body. There will also be guided walks in the country estate and the Aitana Mountain walk for those who would like to. 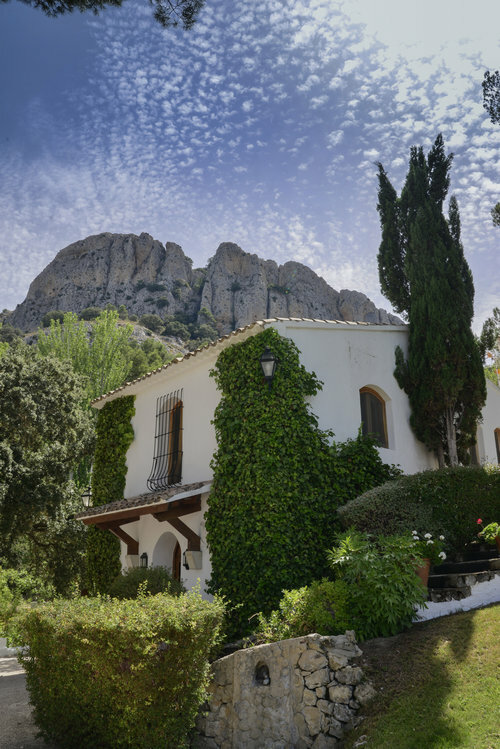 Masia El Relluero is a gorgeous Spanish Country House located just over one hour inland from Alicante Airport. It is in the foothills of the Aitana, the tallest mountain in the Valencian Region. The Country House has a stunning Geodesic yoga dome overlooking the forest. The house and grounds have extensive views over the local countryside. Accommodation is spread across a number of traditional Spanish style houses, two located just by the swimming pool and another higher up near the yoga dome. The estate is located near the village of Alcoleja, just over one hour drive from Alicante Airport. 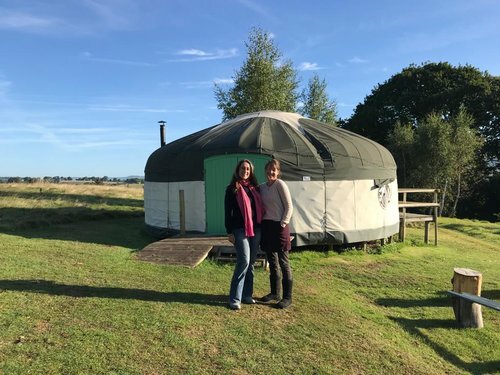 Join Liz and Tania for a wonderful women’s weekend in a truly special location, staying in luxurious handmade Yurts with cozy woodburners. It will be at the Autumn Equinox a special time in the year to look back at what we have achieved/experienced in the summer months and sow our seeds of intentions as we enter the darker more reflective months of the year. Liz and Tania will teach a combination of energising Hatha and Vinyasa Yoga in the mornings combined with therapeutic practices of Restorative Yoga and Yoga Nidra. We will draw on the feminine aspects of yoga and how these may support us in our daily lives. This retreat will be from Friday 4pm until Monday at 11am to allow plenty of time for yoga, walking, adventures in the countryside, relaxing on the beach, getting cozy in a hammock with your favorite book, fires and storytelling under the stars. Hunger Hill Yurts offer luxury glamping in cosy yurts. The yurts are located in an Area of Outstanding Natural Beauty, a landscape of wooded combs, vast areas of heath land, fertile river valleys and breathtaking ridges and hilltops. Hunger Hill Yurts are a 3 hour drive or train and bus ride from London. The nearest station is Exmouth and we encourage lift sharing. Three nights accommodation in cosy 4 person yurts each with their own woodburner. Daily meditation, all yoga classes and workshops. Delicious homemade/homegrown organic vegetarian food…brunch…tea and evenings meals. 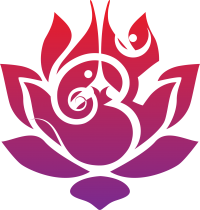 Tania Yogini | Yoga Classes, Workshops & Retreats with Tania Yogini © 2014. All Rights Reserved.